More and more Washington insiders are asking a question that was considered off-limits in the nation’s capital just a few months ago: Who, exactly, is Attorney General Eric Holder representing? As scandal after scandal erupts on Wall Street, involving everything from global lending manipulation to cocaine and prostitution, more and more people are worrying about Holder’s seeming inaction — or worse — in the face of mounting evidence. Confidential sources say that the President’s much-touted Mortgage Fraud Task Force is being starved for vital resources by the Holder Justice Department. Political insiders are fearful that this obstruction will threaten Democrats’ chances at the polls. Investigators and prosecutors from other agencies are expressing their frustration as the ever-rowing list of documented crimes by individual Wall Street bankers continues to be ignored. To hear the media report it, President Obama is proposing a tax increase on wealthy Americans. That’s misleading at best. He’s proposing that everyone receive a continuation of the Bush tax cuts on the first $250,000 of their incomes. Any dollars they earn in excess of $250,000 will be taxed at the old Clinton-era rates. A ton of corporate and billionaire money is behind these lies and others like them, as well as formidable mouthpieces of the regressive right such as Rupert Murdoch’s Wall Street Journal editorial page. The truth is already a casualty of this election year. That’s why it’s so important for you to spread it. Well, here we are, slouching toward another national garage sale in which corporations bid on and buy candidates the way futures traders bid on commodities – or as our founders used to call it: an election. Thanks to thirty years of Republican policies and Democratic complicity, we’re in the process of reopening the company store, only as with all things 21st Century, it’s a national chain. Today, we shop with credit cards owned by “the company,” live in houses financed by “the company” – often owing more than the value of the home – and get our news and information from sources controlled by “the company.” In short, the company store is back in business. The European Union summit in June was clearly an upside surprise: in effect, the Latin bloc forced German Chancellor Angela Merkel to bend, at least slightly. But was it good enough? Food geneticists, for example. These technicians have the smarts to tinker with the inner workings of Momma Nature’s own good foods – but not the smarts to leave well enough alone. In fairness, much of their scientific tinkering has been beneficial. But during the past half-century, too much of their work devolved from tinkering into outright tampering with our food. This is mostly the result of money flowing to both private and public centers from big agribusiness corporations that want nature’s design altered in ways that fatten their bottom lines. Never mind that the alterations created by these smart people are frequently not good for you and me. But the game won’t be changed for most of the country unless the federal government does much more. When Franklin D. Roosevelt pulled back from pump-priming measures in 1937, recovery from the Depression stopped, only to revive with preparations for World War II. Mitt Romney and the rest of the Republicans oppose such federal intervention. Their program is simple: Cut taxes for the rich and wipe out most regulation of business. As history shows, that doesn’t work. Whether it is the City Council in conservative Lancaster providing roads for the new Morton Manufacturing plant or the federal government building bridges, highways and rail lines across the United States, unemployment won’t be reduced without help from the government, no matter how distasteful that idea is to the Republicans. LIBOR just keeps getting bigger by the day, like a wildfire. US lawmakers have raised concerns that the alleged manipulation of the London Interbank Offered Rate, or Libor, may have harmed households, raising the stakes on a scandal that thus far has been confined to Wall Street and the City of London. There are at least 900,000 outstanding US home loans indexed to Libor that were originated from 2005 to 2009, the period the key lending gauge may have been rigged, investigators have said. Those mortgages carry an unpaid principal balance of $275bn, according to the Office of the Comptroller of the Currency, a bank regulator. During periods when banks were allegedly attempting to push Libor higher, households with loans tied to the gauge may have paid higher rates than necessary. However, if the rate was manipulated lower, households may have benefited from paying below-market interest rates. “I think the US government should be just as aggressive in getting to the bottom of this scandal as the United Kingdom has been,” said Senator Sherrod Brown, chair of the bank regulatory subcommittee on the Senate banking committee. “This was not isolated to London, but affected tens of millions of investors, borrowers and taxpayers in our country as well,” Mr Brown added. The interest rate on TALF loans secured by ABS backed by federally guaranteed student loans will be 50 basis points over 1-month LIBOR. The interest rate on TALF loans secured by SBA Pool Certificates will be the federal funds target rate plus 75 basis points. The interest rate on TALF loans secured by SBA Development Company Participation Certificates will be 50 basis points over the 3-year LIBOR swap rate for three-year TALF loans and 50 basis points over the 5-year LIBOR swap rate for five-year TALF loans. For three-year TALF loans secured by other eligible fixed-rate ABS, the interest rate will be 100 basis points over the 1-year LIBOR swap rate for securities with a weighted average life less than one year, 100 basis points over the 2-year LIBOR swap rate for securities with a weighted average life greater than or equal to one year and less than two years, or 100 basis points over the 3-year LIBOR swap rate for securities with a weighted average life of two years or greater. For TALF loans secured by private student loan ABS bearing a prime-based coupon, the interest rate will be the higher of 1 percent and the rate equal to “Prime Rate” (as defined in the MLSA) minus 175 basis points. For other TALF loans secured by other eligible floating-rate ABS, the interest rate will be 100 basis points over 1-month LIBOR. In the aftermath of the Barclays rate-fixing scandal, the most surprising reaction has been from people in the financial sector who fully understand the awfulness of what has happened. Rather than seeing this as an issue of law and order, some well-informed people have been drawn toward arguments that excuse or justify the behavior of the Barclays employees. This is a big mistake, in terms of the economics at stake and the likely political impact. The behavior at Barclays has all the hallmarks of fraud – intentional deception for personal gain, causing significant damage to others. The Commodity Futures Trading Commission nailed the detailed mechanics of this deception in plain English in its Order Instituting Proceedings (which is also a settlement and series of admissions by Barclays). Most of the compelling quotes from traders involved in this scandal come from the commission’s order, but too few commentators seem to have read the full document. Please look at it now, if you have not done so already. The commission’s order portrays a wide-ranging conspiracy (or perhaps a set of conspiracies) to rig markets, including, but not limited to, any securities for which the price is linked to a particular set of short-term interest rates. This past weekend on Up with Chris Hayes, Chris and his panel guests discuss the rate rigging scandal. 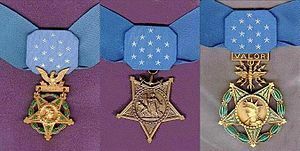 On this day in 1862, the Medal of Honor is created. President Abraham Lincoln signs into law a measure calling for the awarding of a U.S. Army Medal of Honor, in the name of Congress, “to such noncommissioned officers and privates as shall most distinguish themselves by their gallantry in action, and other soldier-like qualities during the present insurrection.” The previous December, Lincoln had approved a provision creating a U.S. Navy Medal of Valor, which was the basis of the Army Medal of Honor created by Congress in July 1862. The first U.S. Army soldiers to receive what would become the nation’s highest military honor were six members of a Union raiding party who in 1862 penetrated deep into Confederate territory to destroy bridges and railroad tracks between Chattanooga, Tennessee, and Atlanta, Georgia. The first formal system for rewarding acts of individual gallantry by American soldiers was established by George Washington on August 7, 1782, when he created the Badge of Military Merit, designed to recognize “any singularly meritorious action.” This decoration is America’s first combat award and the second oldest American military decoration of any type, after the Fidelity Medallion. Although the Badge of Military Merit fell into disuse after the American Revolutionary War, the concept of a military award for individual gallantry by members of the U.S. armed forces had been established. In 1847, after the outbreak of the Mexican-American War, a Certificate of Merit was established for soldiers who distinguished themselves in action. The certificate was later granted medal status as the Certificate of Merit Medal. As there were only two medals that could be issued until the World War I including the Purple Heart, the Medal of Honor was sometimes awarded for deeds that would not later merit that distinction. In 1917, when other medals were created for bravery, a recall was requested for 910 Medals of Honor that had been previously issued, but no longer considered that noteworthy. Thereafter, and until the present day, the Medal was awarded for deeds that were considered exceptional. Special 7 am Edition (to get you ready for tomorrow’s 6:30 am edition, no- I am not kidding). Tony Martin, Rémy Di Gregorio, and Matthew Lloyd were unable to start yesterday. Rémy Di Gregorio was arrested at his hotel for trafficking in doping substances. At the finish it was Thomas Voeckler, Scarponi, Voigt, and Sanchez. In the overall GC the top 5 changed not at all. Another missed opportunity for Evans. That was Medium Mountains, today they are High. There are 2 un-classified climbs, a 2 and a 3. The Award point is just before the start of the second unclassified climb. Coverage is customarily on Vs. (NBC Sports) starting at 7 am with repeats at noon, 2:30 pm, 8 pm, and midnight. There will be some streaming evidently, but not all of it is free. When I was around eight or so Uncle David built a jon boat out of marine plywood. Uncle David is really good at woodworking and makes some nice pieces. As far as I know it was his first attempt at a boat. I rarely write about living people, but the humor in this piece is not at Uncle David’s expense and I bet that he gets a kick out of reading this. He did a really good job of it, and it looked really nice. It took him several days to finish it, and since they lived just across the street I watched quite a bit of how he built it. He had gotten some plans from somewhere, but could have built it without any prepackaged plans because he was that good.